After falling to the lowest level in 50 years, the U.S. homeownership rate bounced up slightly in the third quarter of this year. Corelogic reports that the amount of equity homeowners now have has doubled in the last five years sales. For the full article & market report, click HERE! Click HERE for complete article, plus inside market info! This South Bay Beach Cities market video shows new construction sales, new home pipeline, and a year over year comparison from the early 2000s. Market insight is the essential ingredient in all of the services I offer. I answer the question “How is the market?” By monitoring real estate trends and statistics, I’m able to help you make critical decisions…all while giving you valuable information on an ever changing housing market! As your local real estate professional we can indicate which areas in your neighborhood adversely affect the market value of your home. If you can help improve those things now, you should, so that when you’re ready to sell, your home’s value is at its highest. 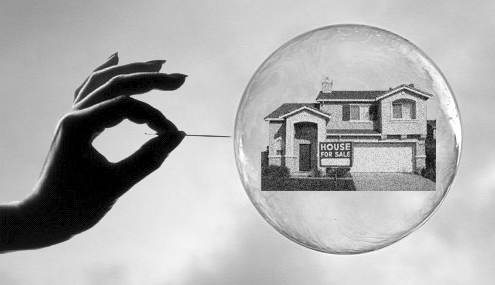 Are We Nearing Another Real Estate Bubble? The “bubble” word has reentered the real estate conversation and with it, much worried comparison between current market conditions and those of the mid-2000s housing bubble. It’s easy to see why the word has been resuscitated: thanks to low inventory levels coupled with burgeoning buyer demand, many markets are indeed becoming frothy. Bidding wars have erupted in the most desirable neighborhoods and some buyers have started adopting pre-2007 tricks to win those face-offs including worrisome non-contingent offers at full asking price or higher. Last week, the National Association of Realtors (NAR) released their Existing Home Sales Report. The report announced that the median existing-home price in June surpassed the peak median sales price set in July 2006. This revelation created many headlines in the Wall Street Journal and USA Today exclaiming that home prices had hit a “new record”. Does this mean we have another problem on our hands? Not really… Even after adjusting for inflation, median prices aren’t a great barometer because they can be distorted by the “mix” of what’s selling. In 2009, for example, median prices plunged in part because an unusually large share of homes were selling out of foreclosure. Bank-owned homes tended to cluster at lower price points both because they weren’t as well maintained and mortgage companies were motivated to sell quickly to cut any losses. Prices were already falling, of course, but looking at changes in median prices probably overstated the rate of decline. There may be other reasons to worry abo ut housing affordability by comparing prices with incomes or prices with rents for a given market. But crude comparisons of nominal home prices with their 2006 and 2007 levels shouldn’t be used to make claims about a new bubble. But before we start worrying about unsustainable home prices and the future bubble they could inflate, let’s take a look at several factors emerging now that will likely make that worrisome run-up in home prices slow down in coming months. The Mix Of Homes Is Changing – Both that dwindling supply and the subsequent rise in prices have led to a decrease in distressed sales. Simultaneously, as distressed activity ebbs, luxury sales have surged, also pushing median prices higher. Mortgage Rates Are Rising – While those rising rates will do little to actually derail housing’s recovery, they will put downward pressure on the dramatic run-up in home prices. Bottom line, home values are appreciating. However, they are not increasing at a rate that we should have fears of a new housing bubble around the corner. Federal Reserve Bank of New York’s Survey of Consumer Expectations found evidence that buyers and renters impact of interest rates is highly overrated compared to the impact of even small changes in down payment requirements. The study found that decreasing the required down payment from 20% to 5% increases the willingness to purchase on the average about 15% among all buyers and 40% among renters. Decreasing interest rate on a 30-year fixed rate mortgage, though it would save the buyer much more than the lower down payment, raised the willingness to purchase a home by only 5% on average. A key takeaway is that the effect of a change in down payment requirements on housing demand strongly depends on households’ financial situation. For instance, a loosening of down payment requirements will have little effect on the willingness to purchase for a new home of current owners with substantial equity, or of renters with substantial liquid savings. 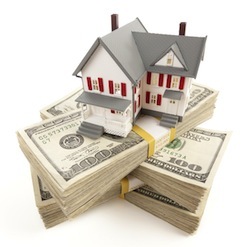 The results also imply that macroprudential measures such as a loan-to-value (LTV) cap may predominantly affect the lower end of the housing market, and that the effect on house prices will depend on the state of the economy and other asset markets,” said economists Andreas Fuster and Basit Zafar of the New York Federal Reserve. 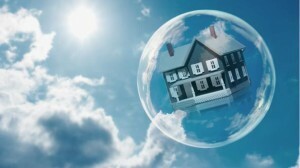 Is Another Housing Bubble Forming? A lot of forces came together in the early 2000s to fuel the US housing boom while putting it at risk of its ultimate crash. Two trends related to loose lending standards stand out: 1) lots of new homebuyers were able to get mortgages, and 2) many of those new borrowers were able to do so by putting very little money up front. Combining these two forces, you got a massively leveraged housing market. After the housing market bust we experienced in 2008, many experts have been quick to warn that a new bubble may be forming in some areas of the country. There’s not yet a bubble, despite factors reminiscent of the last housing bubble, including low interest rates and somewhat lax rules on down payments for first time buyers. But this is no longer the case. And this lower leverage may be the most important difference between the housing market today and the housing bubble because it reduces the risk of a major downturn. The biggest challenge facing the housing market right now is the lack of inventory available for sale. Prices are determined by supply and demand. If prices continue to outpace inflation and income in these areas, that can eventually become a problem. Right now buyer demand is out-pacing seller supply, across many price ranges, driving prices up.Current homeowners list their home to either trade up or downsize, opening up inventory for first-time buyers to come in. One can’t happen without the other. But current homeowners aren’t flooding the market with “For Sale” signs. Some are worried they won’t be able to find a new house or they’re still waiting to recoup their home’s value lost in the crash. If you are a homeowner debating listing your home for sale this, now is the time, meet with a local real estate professional who can guide you through the process. 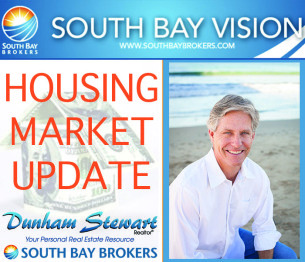 Exciting news at South Bay Brokers! 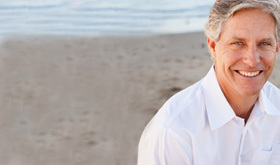 I am proud to be part of such a great local firm, South Bay Brokers, for the last 13+ years. With a stellar reputation going back 30 years, South Bay Brokers is the gold standard of the local real estate community. The local strength and esteem of South Bay Brokers has now combined with the globally respected brand of Sotheby’s International Realty. 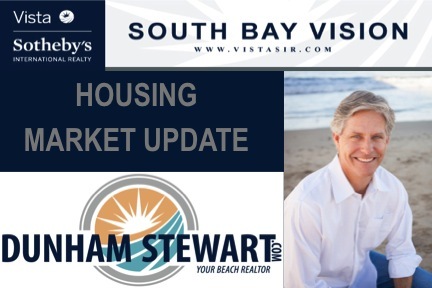 The new company will function under the name Vista Sotheby’s International Realty, combining the traditional “sunset over the ocean” logo of South Bay Brokers into the new logo. 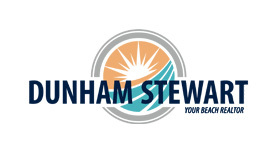 We will now operate within six offices with nearly 200 affiliated agents. 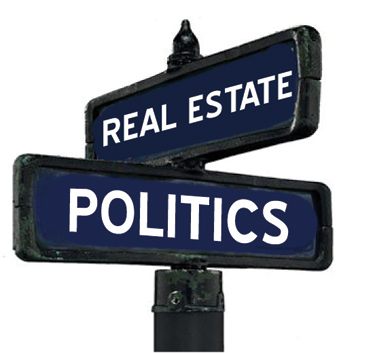 The world of real estate is changing, and our local real estate market is world renowned! This combined “Local Touch and Global Reach” is a perfect fit. This opportunity will open new doors, and allow access to multiple tools and networks. I am very excited to share all the benefits of the new company with my current and new clients. These resources are great assets that will continue to allow me to provide my clients with the ultimate service in the changing world of real estate. The pace of sales continue to grow faster than the number of homes on the market. 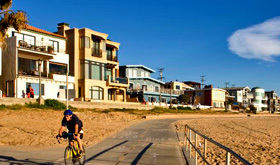 Our coastal cities are showing double digit increases in sales since the beginning of the year. Even though our U.S. economy as a whole appears to have gotten off to a slow start in the first quarter consumer confidence doesn’t appear to be wavering significantly and employment shows signs of improvement. Economic reports continue to point to home sales finishing the year at their highest pace since 2006 although accelerating price growth and rising mortgage rates could have the potential to slow sales. CLICK HERE for full graphs and stats. According to California Association of Realtors March Home Sales Report issued April 15, 2015, the housing market improved throughout the state due to the upward trend of economic conditions. An increase of inventory in the Central Valley and Southern California, in particular, pushed the sales higher. C.A.R. reported that we had the strongest February to March increase we’ve seen since 2008. With April coming to a close you will see that although inventory remains low, pending sales in the our beach cities of Manhattan, Hermosa, Redondo and El Segundo show between a 25% – 50% increase in pending sales.